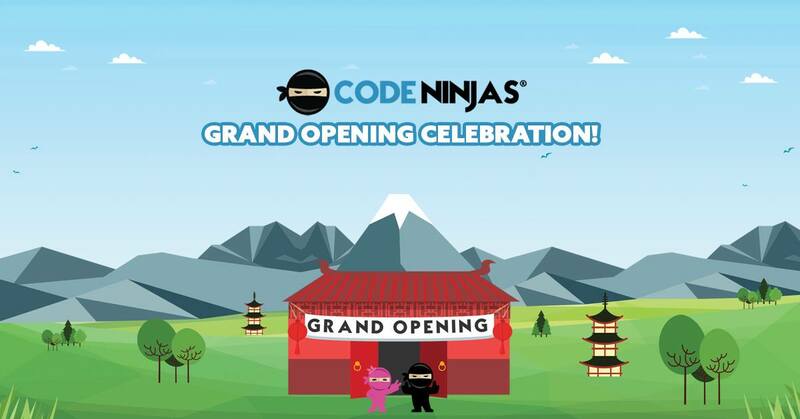 Code Ninjas, the fastest growing franchise in the United States, is opening in Eagan on July 9, 2018, with additional locations soon to follow in Woodbury and Apple Valley. Code Ninjas, the fastest growing franchise in the United States, is opening in Eagan on July 9, 2018, with additional locations soon to follow in Woodbury and Apple Valley. Using an engaging game-based curriculum that emphasizes teamwork, logic, math and problem solving, Code Ninjas teaches kids ages 7 to 14 to code (also known as computer programming). What’s more, it encourages them to continually learn and grow and enables them to track their progress through different belt levels — just like a real dojo. By the end of the program, kids will publish a real app in the app store! If you are interested in touring the center or would like to learn more, call Code Ninjas in Eagan at 833-KID-CODE or 651-313-8700. You can also book a tour online at https://calendly.com/codeninjaseagan/30mintour. If you are interested in becoming a member of the Code Ninjas team, send your resume to EaganMn(at)codeninjas.com. Code Ninjas, founded in 2016, is the fastest growing kids coding franchise in the United States. The company has more than 100 locations in development, including 53 franchisees across 23 states. Code Ninjas teaches kids ages 7-14 how to code in a fun, welcoming, and non-intimidating atmosphere using a game-based curriculum. The Eagan location summer hours are Monday–Thursday, 12 to 8 p.m., Friday 12 to 6 p.m. and Saturday from 9 a.m. to 1 p.m.